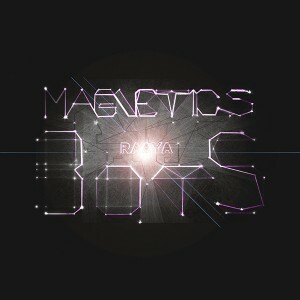 Luk-Si Records presents Magnetic Bots, the debut release from Czech producer Raaya, born in 1973. Since 2000 he has been active as a music teacher and electronic and electro-acoustic music consultant. Here you will hear his vision of energetic music. Spiritual devotion to the old practice gives this piece a driving force. Melodies intertwine into a spiral of infinity and a cosmic journey can begin. Artwork by Raaya. Mastered by Michal Schwa at ORM Studio Prague. Incredibly squishy and hypnotic, very unlike anything I’ve heard before in terms of tone. I love the panned clicky kick in the first track! Reminds me a bit of Psylent Buddhi. I hope to hear more from you, maybe an album? Easily one of my favourite 2014 releases. I agree with Solitary Signal. Great music with lots of energy. Certainly a very good release. Thumbs up. this music is very unique ..no doubt !! Wow that’s different. very nice release. Thats realy nice music. Very inovative. i never heard something like that. Big up! In “dark Start Dreams” they seem to find any excuse to use random Starcraft samples, with no point/purpose? Why do we need to hear “in the bus 5 by 5” followed by “Ghost reporting”? No relevance to each other or the song. Magnetic Bots track is a piece right out of other side of the brain and shows someone who diverges from the norm. Good work! Want to hear more from this artist.